The Palestinian Authority’s observer at the UN, Riyadh Mansour, warned on Tuesday that the conflict with Israel may be sliding toward a “religious” context as a result of the “illegal” ongoing actions at Al-Aqsa Mosque and [occupied] East Jerusalem, Anadolu has reported. A few weeks ago, the UN Envoy to the Peace Process, Nicolay Mladenov, said that while the international organisation had previously said that Gaza would be “unliveable” by 2020, the situation there has deteriorated much earlier. The Palestinian Authority (PA) has reduced treatment referrals for Palestinian patients in the Gaza Strip by 75 per cent, Palestinian rights groups have revealed, warning that thousands of patients are facing death due to this measure, Safa news agency reported yesterday. In a report the Palestinian Centre for Human Rights (PCHR) pointed out that treatment referrals granted to patients in Gaza by the PA ministry of health in Ramallah have gradually reduced. The PCHR noted that the number of treatment referrals in March was 2,190; in April the figure was 1,756, a 19.8 per cent decrease; in May it went down further to 1,484, a 32.2 per cent decrease, and in June the number did not exceed 500 referrals, which is a 75 per cent decrease. According to the PCHR, until the beginning of June the high medical commission in the Gaza Strip classified more than 2,500 cases of dangerous diseases. Patients are in urgent need of treatment outside the besieged enclave. 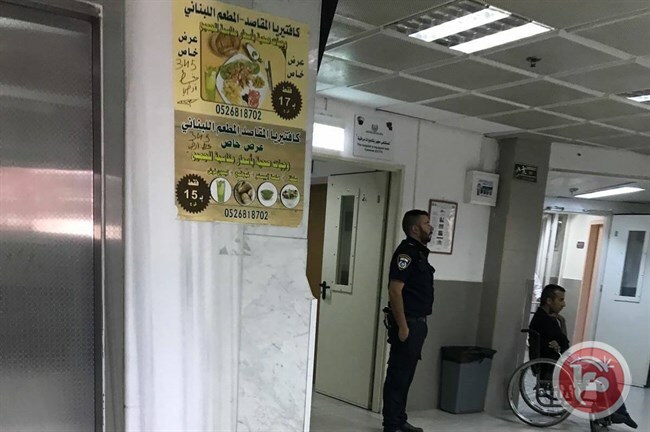 These patients, the PCHR said, are waiting for financial coverage from the PA for their treatment referrals, noting that the department of treatment abroad in the Ramallah-based ministry accepted only about 400 referrals. The PCHR expressed fear that this measure would have a “disastrous” impact on the lives of hundreds of patients who are in urgent need of treatment abroad, noting that many of these patients have already started treatment in the West Bank, Israel and other hospitals abroad. HEBRON (Ma’an) — Israeli forces on Tuesday night raided a Palestinian home in Khursa village, south of Hebron city in the southern occupied West Bank, and turned the house into a military post.Locals told Ma’an that Israeli soldiers broke into the home of Yousif Ayid Shahatit and stayed inside the building overnight.The soldiers, locals added, brought military equipment into the house and set up a tent on the roof, which they used as a military post. 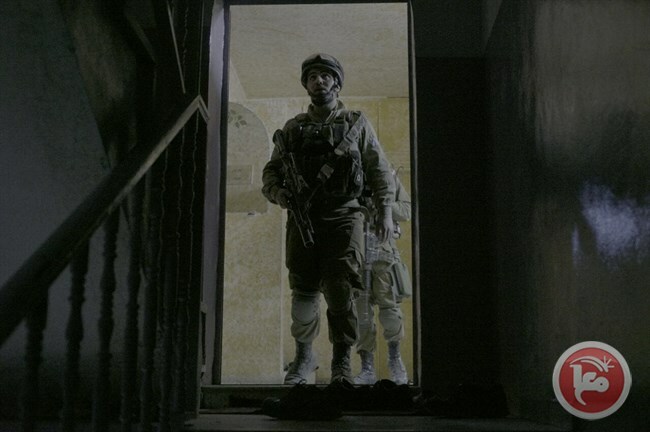 No detentions were reported in the village.An Israeli army spokesperson said they were unaware of the incident.Turning Palestinian homes into temporary military posts is common practice for Israeli forces during overnight raids or clashes in Palestinian towns and villages. Homes located on main roads or other “strategic” locations are particularly prone to the practice.It is also not uncommon for Israeli forces to forcibly evict Palestinians from their homes for the use of military posts.Israeli raids in Palestinian towns, villages, and refugee camps are a daily occurrence in the West Bank and East Jerusalem, with a weekly average of 95 search and detention raids carried out over the course 2016, according to UN documentation. HEBRON (Ma’an) — Israeli forces on Wednesday delivered a demolition notice for the home of Khalid Makhamreh, who along with his cousin Muhammad, carried out a deadly shooting attack in Tel Avivin June 2016 that left four Israelis dead.Both Khalid and Muhammad’s homes, located in the village of Yatta in the southern occupied West Bank district of Hebron, had been demolished in August, though one floor of the two-story house belonging to Khalid’s family was apparently left intact.On Wednesday, Israeli forces delivered a demolition notice to Khalid’s family, saying that the remaining floor of the house would be demolished because the family had allegedly been using it.The notice stated that the family had 72 hours to evacuate the house. Israeli Prime Minister Benjamin Netanyahu fast-tracked punitive home demolitions in an effort to “deter” attacks carried out by Palestinian individuals since the beginning of a wave of violence across the occupied Palestinian territory in late 2015, despite past recommendations by an Israeli military committee that the practice did not deter attacks. Israeli human rights group B’Tselem has condemned the practice of punitive home demolitions and work permit confiscations as “court-sanctioned revenge” carried out on family members who have not committed crimes, amounting to collective punishment. BETHLEHEM (Ma’an) — Human rights organization Amnesty International has condemned Israeli forces for multiple violent raids into an occupied East Jerusalem hospital, which has been struggling to treat hundreds of Palestinians who have been injured by Israeli forces in recent days in a brutal crackdown on demonstrations surrounding the Al-Aqsa Mosque compound. 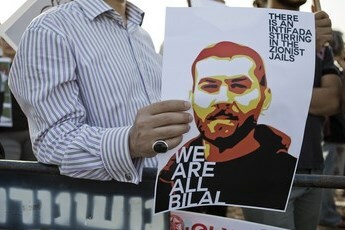 BETHLEHEM (Ma’an) — Israeli authorities sentenced former long-term hunger-striking prisoner Bilal Diab to six months of administrative detention, Israel’s widely-condemned policy of internment without charge or trial, as he entered his 12th day on hunger strike on Tuesday. 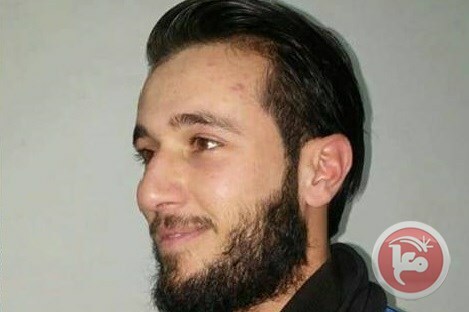 Diab, 32, was redetained in a predawn military raid on July 14 from his home in the village of Kafr Raai in the Jenin district of the northern West Bank, and started a hunger strike the same day, according to prisoners rights group Addameer. He has been detained and imprisoned by the Israeli forces on multiple occasions, frequently under administrative detention. According to Palestinian prisoner solidarity network Samidoun, he has been previously held under allegations of participation in the Islamic Jihad movement. He was last released from Israeli prison on December 15, 2015, according to Samidoun.Diab also took on a 77-day open hunger strike in prison in 2012, alongside Thaer Halahleh, in protest of their administrative detentions. He was released on August 9, 2012 after reaching an agreement with Israeli authorities to end his strike. Israeli forces prevented doctors of caring with a critically wounded patient, Amnesty International said. Amnesty International said on Tuesday Israeli soldiers and police storming Palestinian hospital twice over the past week terrifying staff and patients. It added: “The conduct of the Israeli forces who carried out violent raids on Al-Makassed Hospital harassing and intimidating staff and patients is utterly deplorable. “There can be no justification for preventing medical workers from caring for a critically wounded patient,” said Magdalena Mughrabi, Deputy Director for the Middle East and North Africa at Amnesty International. Eyewitnesses at Al-Makassed Hospital described to the rights group the scenes of “absolute mayhem” as armed Israeli soldiers and police stormed the premises on 17 and 21 July apparently in pursuit of critically injured patients. Israeli Prime Minister Benjamin Netanyahu warmly received on Monday guard of Israeli embassy in Amman who murdered 2 Jordanian citizens, including child. Amidst escalating violence from the Israeli army in response to protests at Al-Aqsa Mosque an Israeli embassy security guard shot the two Jordanians in a building used as a residence for embassy staff. Jordan initially prohibited the guard from leaving the country but Israel refused to allow Jordanian authorities to question him citing diplomatic immunity. According to Channel 7, the Israeli soldier Ze’ev thanked Netanyahu for the swift reaction to this issue and for facilitating his return home. Ze’ev said that he felt as if the whole country was standing behind him. Netanyahu said that Israel “does not forget” its citizens and returning them to Israel is always a matter of time. The two Jordanians killed by the Israeli soldier were identified as 16-year-old Mohamed Al-Jawawdeh and the physician Bashar Al-Hamarneh, owner of the residential building where the shooting took place. Israeli occupation forces wounded 13 Palestinians on Wednesday night near Al-Aqsa Mosque in Jerusalem, including girl and journalist. Palestinian sources said that the Israeli occupation forces brutally raided the Palestinian protesters, who have been near the gates of Al-Aqsa Mosque for 11 days. The Israeli crackdown on the protesters began when the Isha Prayer started as the protesters performed the prayer inside and outside the walls of the Old City. In an attempt to disperse the protest, the Israeli soldiers started beating thousands of worshipers and chasing them, using their electric batons and tear gas. “Most of the time, they fired steel-coated with rubber bullets and sometimes they fired live bullets,” one of the protesters said in a video showing the Israeli soldiers attacking worshipers. Palestinian have been protesting against the Israel measures taken against Al-Aqsa Mosque on July 14, including the placement of electronic metal detectors, which were replaced on Tuesday with high-quality and advanced CCTV cameras. On Tuesday, the Palestinian Red Crescent said that its staff had dealt with more than 1,100 Palestinian cases since July 14, including four martyrs and several others in critical conditions. In last night’s crackdown, the Red Crescent said that a journalist and 13-year-old girl were among the wounded treated by its staff. BETHLEHEM (Ma’an) — As Israeli forces continued to impose a violent crackdown on Palestinians praying outside of Al-Aqsa Mosque as an act civil disobedience against new security measures at the holy site, Israeli NGO B’Tselem accused Israel of displaying “sweeping disregard” for Palestinian lives in occupied East Jerusalem. Israeli police detained and injured at least one demonstrator on Tuesday morning, local sources told Ma’an, as reports emerged that additional, more advanced surveillance technology would being installed around the mosque. Protests have been ongoing for more than week, as Israeli police have developed a pattern of aggressively attempting to disperse peaceful worshipers in the streets surrounding the mosque at prayer times throughout the day. Meanwhile, four Palestinians have been shot and killed by Israeli police during clashes since protests reached a violent peak last Friday. On Tuesday morning, worshipers performed the dawn prayer at the Lions’ Gate both from inside the compound and from outside, despite Israeli police attempts to forcibly prevent them. Locals in the different East Jerusalem neighborhoods confirmed to Ma’an that dozens of worshipers flooded to Al-Aqsa Mosque when they heard calls through mosque loudspeakers in their neighborhoods, urging them to gather at Al-Aqsa, after excavators and trucks were seen removing soil and rocks and pulling out several trees in a courtyard outside of Lions’ Gate. Witnesses said Israeli forces fired stun grenades at the worshipers to coerce them to leave and detained at least one man in the area after he was injured and was bleeding from his face. Israeli police spokesperson Luba al-Samri had said in a statement that after the previous night’s prayer at the Lions’ Gate, worshipers leaving the area allegedly threw rocks at Israeli forces, lightly injuring two officers. She said Israeli forces used “riot-dispersal” means on the worshipers, and said one “suspected rioter” was detained. 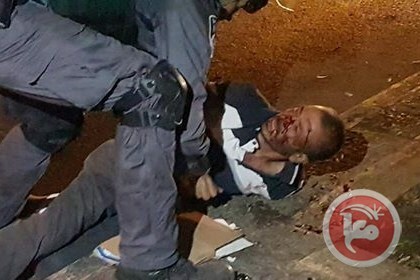 Another Palestinian was also detained in the Silwan neighborhood after he allegedly threw stones at a passing vehicle, al-Samri added. B’Tselem denounced in a statement on Monday the new security restrictions, which in addition to the controversial Al-Aqsa metal detectors — which Israel has started to remove, only to introduce new “smart” cameras at the mosque’s gates — have included thousands of heavily armed police and checkpoints around the Old City barring access to non-resident Palestinians of the Old City. “B’Tselem’s investigation shows that in at least one instance during Friday noon prayers in the Ras al-Amud area of East Jerusalem police began firing crowd control means as soon as the prayers ended,” the report said. “During these recent events, Israel has repeatedly demonstrated sweeping disregard for the lives and security of Palestinian residents of East Jerusalem, and for their right to maintain a normal routine,” B’Tselem wrote.